Hand-picking the most promising and innovative ideas for our programme, the 2019 Jury is made up of six international members who select the Showcases, Conferences and Project Pitches, alongside two specialist curators, who select the Club Showcase programme. Leonardo Martinelli is a composer, PhD by Sao Paulo State University (Unesp) and music professor at Faculdade Santa Marcelina and Escola Municipal de Musica de Sao Paulo. Over the years, he has conceived and directed various projects devoted to contemporary music in Brazil. In the recent years, he has led the educational programmes of Theatro Municipal de Sao Paulo and has been working on promoting the classical music sustainability as a social change factor. "Anyone really compromised with classical music should join Classical:NEXT: this is not only a conference, showcases or a place to make business, Classical:NEXT is about a global community and a cause on behalf of sustainability of the art music, from the present to the future." Masa Spaan is a Dutch curator and newly appointed Classical Music Programmer at de Doelen in Rotterdam. She received a Masters in Musicology, Philosophy and Music Programming. Due to her international research into the revitalization of concert practices and broad practical experiences, Masa became a specialist in innovative programming. Her main focus is creating forward thinking concert projects, ensuring a high quality of music but reimagining the concert practice in a vitally staged way. As such, she is presently working for different organisations,for Dutch orchestras and ensembles, the Wonderfeel Festival, and for one of the Dutch big concert halls, Concertgebouw De Vereeniging, among others. Masa is regularly invited to act as an artistic advisor, visiting lecturer, publicist and guest curator for various organizations. "Classical:NEXT challenges us to reimagine our concert practice in a contemporary and vitally way. As curator and program developer I am looking for forward thinking programs, concepts and ideas that will explore new horizons and can give a creative but honest future to classical music in its broadest way." Matthew Hoy has held positions with the West Australian Symphony Orchestra, Australian World Orchestra and performed as soloist and collaborator on stages from BAM to Radialsystem Berlin. Prior to Melbourne Festival, he led programming at the Australian National Academy of Music and conceived Quartetthaus – a portable performance space envisioned and engineered for string quartet. Matthew is also founder and artistic director of soft soft loud – a series in its 10th year celebrating unique collaboration between International and Australian artists. In 2001 Mist Thorkelsdottir, founded the Music Department of the Iceland Academy of the Arts and was Dean of Music until 2014. From 2014 – 2016 she was the Head of the Academy of Music and Drama of the University of Gothenburg. She has been a member of the board of the Association of Nordic Music Academies since 2002 and was a council member of the European Association of Music Conservatories (AEC) between 2006 - 2012. She was a founding and board member of MusiQuE, European Quality Enhancement and Accreditation Agency for higher music education through 2016. Since July 2016, Mist has been with the University of Southern California to head the international relations for the performing arts as part of the Office of Strategic and Global Initiatives. Rainer Kahleyss trained as an economist before going on to study for a doctorate in ethnomusicology and communication in Berlin. In 1984, he was appointed as an editor at music publisher Bote & Bock in Berlin. He has also previously worked for music publisher Bärenreiter and the Neuwerk music shop. Since 1996, Kahleyss has been running his own production and distribution company, Klassik Center Kassel. In the meantime he founded the company Klangfarben Kassel also selling high end equipment. He is also a co-founder and chairman of the Association of Classical Independents in Germany (CLASS). "As one of the founding members of Classical:NEXT, I'm really happy to see how successful and quickly our baby became an adult (thanks to the great work of the team behind) and focal point for the exchange about the future of classical music." Sophie Lewis is Managing Director of the National Children’s Orchestras of Great Britain, leading a bold new vision in orchestral training for children. Previous roles include Chief Executive of Sinfonia Cymru, a progressive chamber orchestra for young professional musicians. In 2012, Sophie received the inaugural Association of British Orchestras/Rhinegold Orchestra Manager of the Year Award. 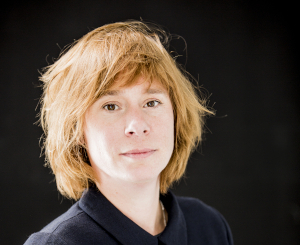 A former Board member of the ABO, Sophie plays an active role in various industry forums and events including Classical Next, ISPA and the British Council Transform Programme. Eleanor Ward is executive director of Nonclassical – an events producer and record label showcasing the best new classical, experimental and electronic music. She leads this small, but hugely influential cultural organisation based in East London. 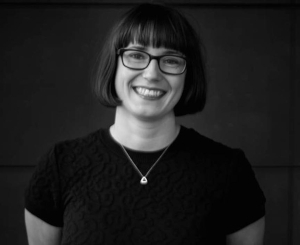 Eleanor started her career in arts funding, before working freelance as ensemble manager, festival producer and project manager for various contemporary music organisations. She also worked as festival producer at Field Day for two years, before joining nonclassical as executive director in 2015. Manners McDade is a London-based music publisher and agency, specialising in new classical since 2001. Their roster includes Nils Frahm, Federico Albanese, Poppy Ackroyd, Joby Talbot & Matthew Herbert, as well as Creative Services for Berlin Classics’ Neue Meister and Sony Classical. 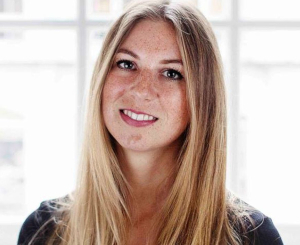 Harriet is Manners McDade’s global creative manager, she has a background in PR and brand-building for agencies such as WildKat PR: working with Max Richter, Ben Frost and The Chamber Music Society of the Lincoln Centre. Harriet is recognised on the 2017 Music Industry Alternative Power 100 List.